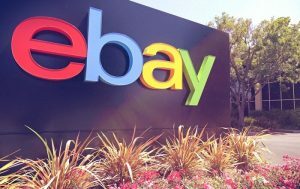 With over 166 million active users and more than one billion unique products being sold, it comes as no surprise that the popular website eBay, launched 23 years ago, is still going strong. It still represents one of the most trustworthy and convenient online shopping websites that people from all around the world use. The unique concept that makes eBay remain profitable even after more than two decades is that it allows users to sell their own products, whether new or used. However, it is impossible to only find men and women of good faith, and this is why some customers were scammed when they tried to order online. If you don’t want to get yourself into a similar situation, here is what you should do. The easiest way to ensure the quality of all the items you order is to only buy from verified and reputed sellers. They are easy to spot as they have thousands of reviews on their personal pages and in-depth comments from verified buyers. Make sure to carefully read as many reviews as possible about similar products with the ones you want to buy. This will give you an accurate insight into the quality of the item, as well as the level of confidence of the seller. eBay is perfect if you’re looking for a vintage designer skirt, a new coffee table or even a portable and fully packed emergency kit to have in your car. However, certain high-end items such as cars and properties should never be handled through the platform. As we are talking about long-term investments, it would be best to make these purchases in person, after you’ve met the seller. 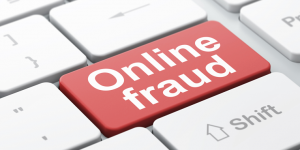 We also suggest you handle these transactions via professional brokers to avoid any suspicions. Most eBay scammers place unrealistic ads with either false products or prices way below the market average. You may be able to find a hidden gem on the platform once in a while but, most of the times, if the offer seems too good to be true, it probably is. You can get easily fooled if you’re looking for bargains, especially on high-end products and goods. Again, before placing a bid or ordering your desired product, it would be best to check the seller’s background and compare similar offers from various vendors. After all, it is your job to identify the potential scammers and report them. If you think an offer is too good to be true or the item you are bidding for doesn’t come with a satisfying description, it is your right to ask for additional information. Reliable vendors don’t have anything to hide, and they will be more than willing to answer all your questions to assure you of the legitimacy of your purchase. This is especially necessary if you want to search for designer clothes and accessories or high-value goods. When it comes to branded shoes and apparel, you always need to ask for all the identification series and codes, as well as high-quality pictures of the interior of the product. Each authentication code should be unique, and you should be able to check it on the producer’s website easily. Products that don’t offer this unique code are probably cheap knock-offs, so we don’t encourage you to buy them. Building a trustworthy relationship with the seller is an important part of enjoying safe eBay transactions. Again, most trustworthy vendors are desperate to sell their products, and they will answer all your questions and provide additional information. If the seller is not keen on giving you high-quality pictures to see the details of the product or additional identification marks for brand items, they most likely have something to hide. Thus, we suggest you exchange a couple of messages with the seller before making up your mind. Intuition could save your bank account.